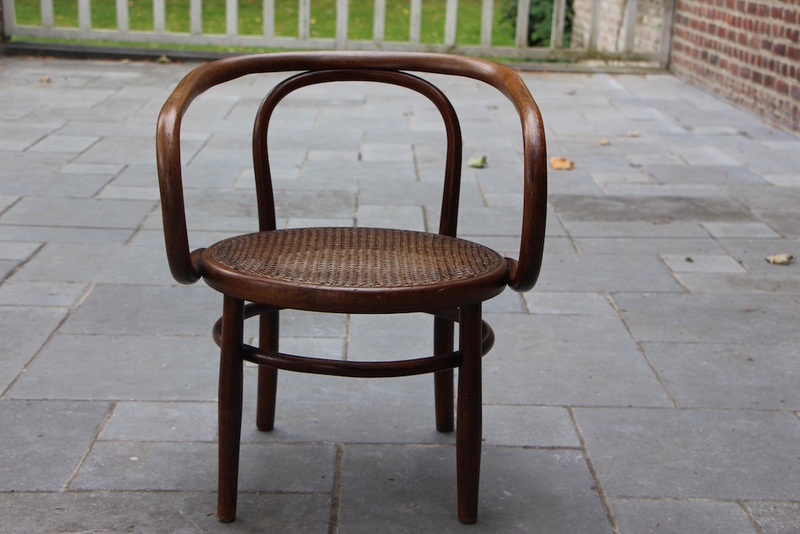 Absolutely a coup de coeur with this charming timeless Thonet low chair. 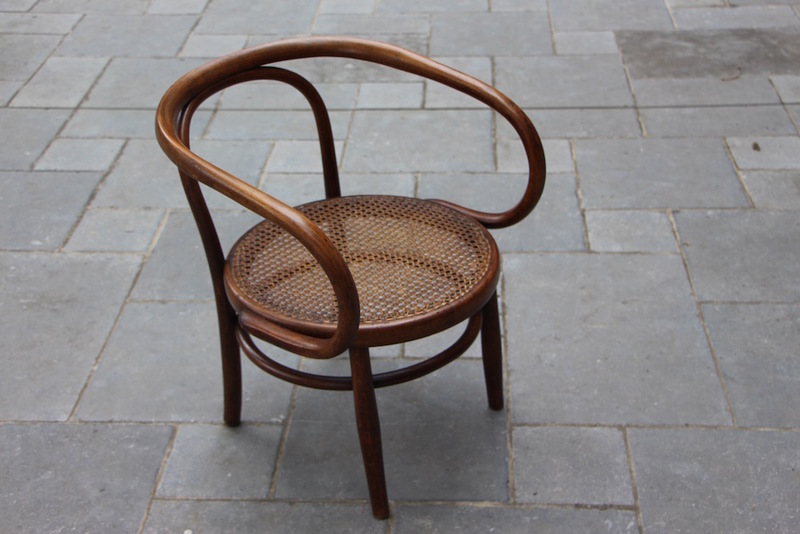 The Thonet Brothers have produced an incredible amount of furniture as from 1830 in Central Europe. They had their own Thonet woodlands and Thonet plants and Thonet machines. 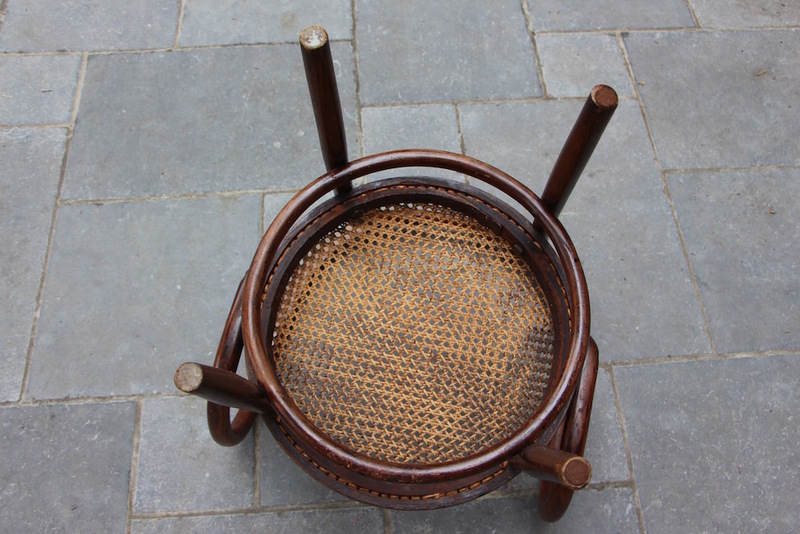 Lots of old pieces of Thonet furniture can be seen in museums. 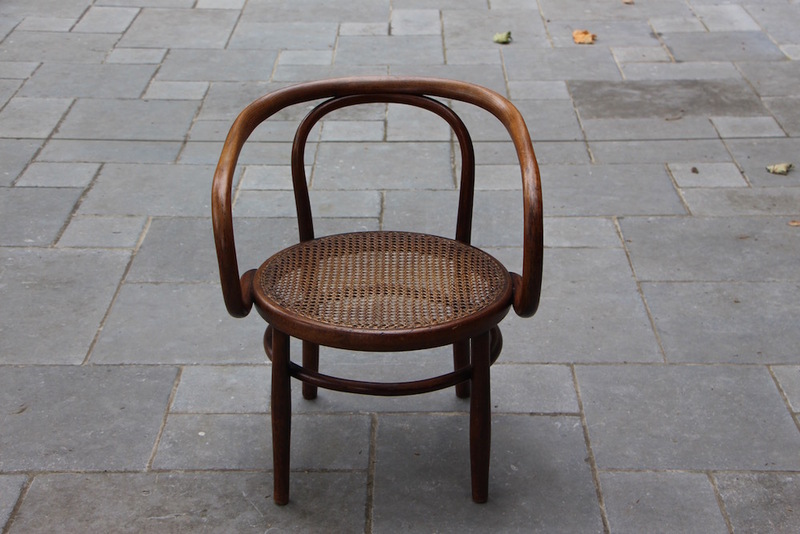 Thonet chairs and furniture can be seen in the most modern interiors and have been continuously in production (more than 125 years), even still today. This chair looks like it's for children because it's low but it can definitely be used by adults. Imagine this chair next to the chimney with a good fire burning. This is the perfect spot for it. You could also put it in a children's room where it will certainly be an eye-catcher. This makes me think of old houses with history, of wooden floors which crack and squeak, of long corridors with wooden furniture which smell of wax.